Today's post is all about which Collection blew our socks off this year. As we discussed in the mainstream brand post, a lot of the big boys really brought their toys to the table this year, and there is a LOT of good stuff to choose from here. who netted 4th, 5th, 6th and 7th positions. I can't argue. 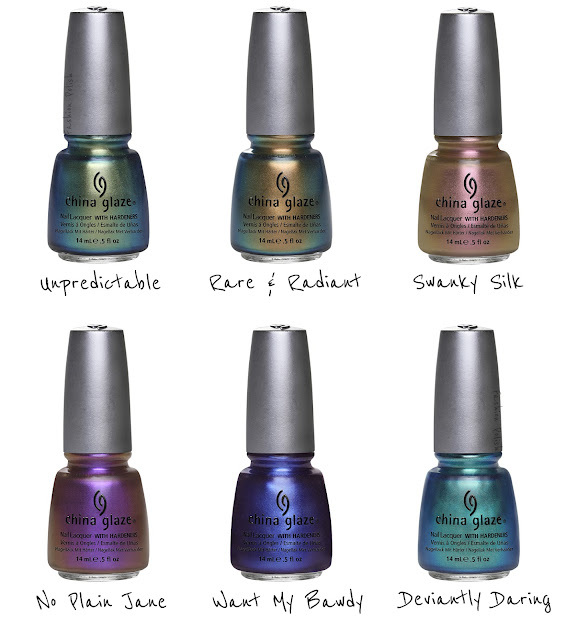 China Glaze have had a brilliant year, and surely they've released more polishes and more collections than anyone else ?? 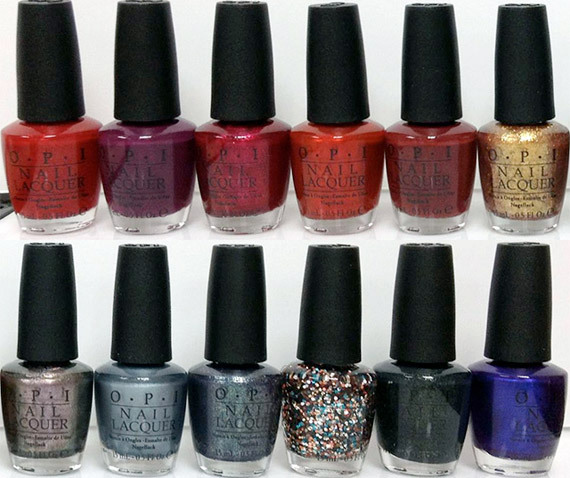 Then we have OPI, who scored 2nd and 6th place. 6th was the Germany Collection - so perfectly autumnal, and full of future classics. AND it heralded a return to that amazing OPI shimmer. And in 2nd, the Skyfall Collection. This one left me a bit cold, but it's your OPI highlight of the year. 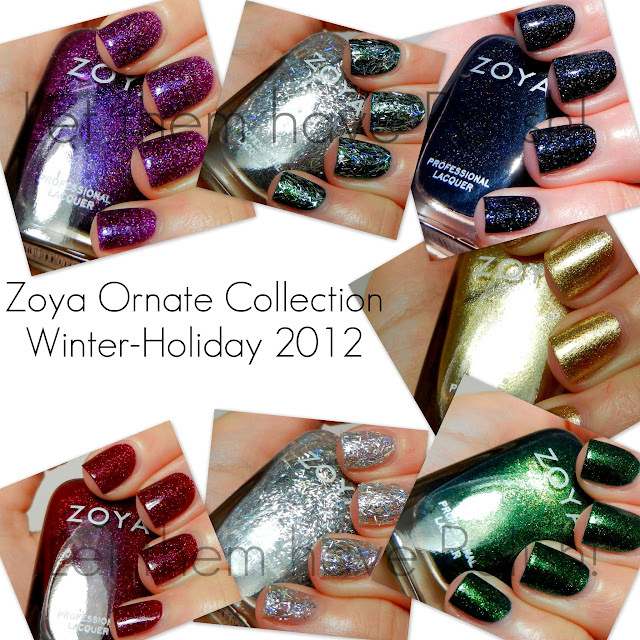 In 3rd place, you loved the Zoya Ornate collection. We've waited a long time for Zoya to do holo, and they didn't disappoint, although they should be shot for that hairy monstrosity they included! Well done Color Club. I think they've had a really low key year, so well done for pulling victory out of quite an empty hat! As for MY favourite collections of the year, there were 2. 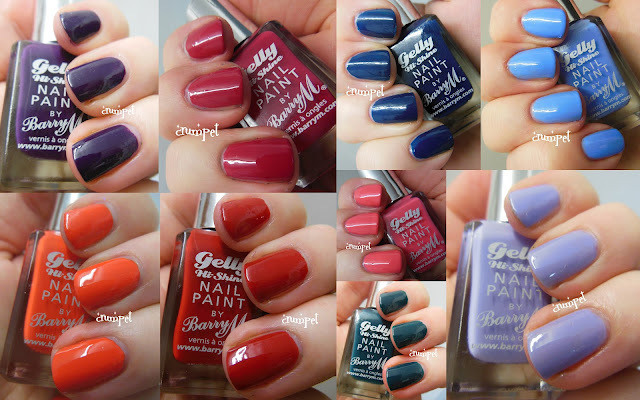 The Barry M Gelly polishes were OUTSTANDING, and I loved them all. Super glossy, super pigmented, and a lot of 1 coaters. And Jade, for their holographic collection. DEFINITELY the best holos I own, and as you know, I own A LOT.